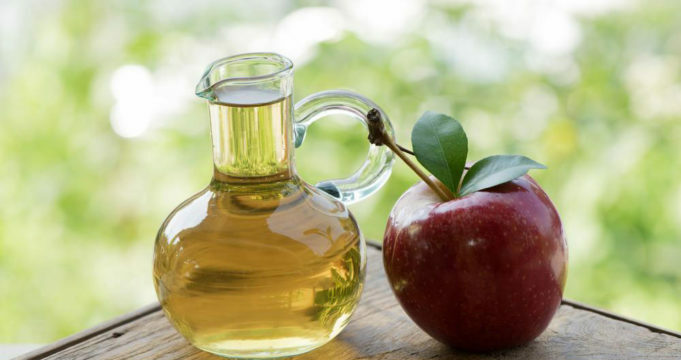 It is not clearly proven yet, but research on animals have shown the benefits of vinegar as a weight loss treatment. Nonetheless, human beings have been using it as a natural medicine for many years now. Acetic acid, a component of vinegar makes it sour tasting and pungent smelling. It is the same element that enables weight loss by lowering blood sugar levels, facilitates the burning of fat in the body, decreases abdominal fat build-up, and improves metabolic activity. Diluting two teaspoons of vinegar with one cup of plain water, and having it no more than twice a day is the best way to drink it, either on an empty stomach or right after a meal, as it suits each individual. Undiluted vinegar is bad for the teeth and esophagus, and mixing it with anything other than honey and water, like acidic substances is not advisable too. As one of the items of a healthy wholesome diet and an energetic lifestyle, organic, unprocessed vinegar is calorie free and helps in losing weight in a gradual manner. The addition of vinegar to food, either balsamic vinegar or apple cider vinegar, significantly slows down the speed at which carbohydrates are converted to sugar in the blood, thus shrinking appetite and promoting a satisfied, sated feeling, reducing body mass index, and simultaneously lessening the possibility of the onset of diabetes. However, it is best to follow the advice of medical doctors before consuming vinegar as an alternative remedy, if someone is on heavy medication, is pregnant or is breastfeeding. Also, while vinegar helps in the absorption of minerals from leafy green vegetables, its prolonged consumption interferes with the assimilation of certain minerals like potassium and reduces bone density too. Hence, like they say, too much of anything is bad and moderation is the key. Although vinegar is not a miracle cure for ailments, it is an all-purpose ingredient to have on hand. And, although the amount of weight that is lost is not large, it is an even drop that is steady, not fleeting.